An Oklahoma Court of Civil Appeals has upheld a trial court’s decision to toss out a police officer’s revocation affidavit because it was legally inadequate. The decision means the driver who appealed a DUI revocation gets to keep her Oklahoma drivers license after being arrested for DUI. The decision calls into question potentially thousands of police affidavits that prompted the State of Oklahoma to revoke drivers licenses in other recent DUI cases. The form in question is a standard document distributed by the Dept. 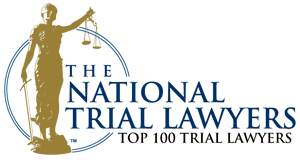 of Public Safety for use in DUI revocation cases filed by law enforcement agencies throughout Oklahoma. The case (Roulston v. Oklahoma Dept. of Public Safety DL-112006 and Oklahoma County CV-2013-971) hinged on whether, to suspend a drivers’ license, a police officer’s affidavit must include a sworn statement that he had reasonable grounds to believe the driver was operating, or in control of, a vehicle while under the influence of alcohol. In the standardized affidavit form, the police officer had cited facts that implied the driver was driving while intoxicated. But the sworn statement did not include a place for the officer’s affirmation that those circumstances led him to believe the driver had violated Oklahoma DUI laws. The difference might seem subtle but the court reviewed the case in light of Oklahoma law. Oklahoma DUI law includes an implied consent clause that says all drivers arrested for traffic offenses – including DUI – agree to blood or breath tests. The Oklahoma DUI statute allows the Department of Public Safety to revoke a drivers’ license if a driver under arrest for DUI refuses a blood or breath test. The law also spells out requirements that must be met before a Oklahoma DUI revocation is valid. The law only allows DPS to revoke a drivers license when it receives a sworn statement from an officer that the officer believed the person was driving under the influence. A mere statement of facts that could lead an officer to reach that conclusion did not meet the statutory requirement, the civil appeals court concluded. The court called it a “fatal defect” to the State’s case. For drivers who have recently had their license revoked after refusing a blood or breath test, the case may provide a basis to appeal the DUI revocation. At a minimum, the case highlights the procedure whereby drivers may contest what otherwise can be an administrative decision resulting in loss of Oklahoma driving privileges. Police arresting a driver for DUI routinely initiate the Oklahoma DUI revocation process by seizing a drivers license and issuing a temporary document that lets the driver continue driving until a hearing is held. 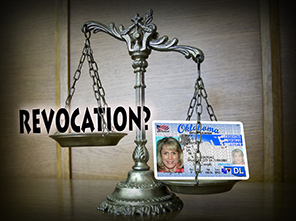 A driver has a limited amount of time to appeal the DUI revocation to the Oklahoma Dept. of Public Safety. If they don’t appeal to the DPS, or don’t win their license back at administrative hearing they lose their driving privileges for six months or more. Even if DPS revokes the license, the driver can ask for their day in court by appealing the administrative decision in district court. In this case, a driver prevailed in district court, but DPS appealed. The Court of Civil Appeals agreed with the driver. The case still has another round to go. DPS will most likely appeal the matter to the Oklahoma Supreme Court. Until the higher court rules on whether it will hear the State’s appeal, DUI defense attorneys may argue DPS had no authority to revoke drivers licenses in cases where licenses were revoked based on the fatally defective form, even in cases where the time to appeal the agency’s DUI revocation has passed. 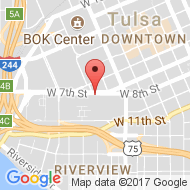 Before you sign away your rights in a DUI case, talk to a Tulsa DUI defense attorney who has the skill and experience to know if the charges against you meet the requirements of Oklahoma DUI law. If you’ve had your Oklahoma drivers license revoked in recent months after refusing a breath test, you may benefit by contacting a Tulsa DUI attorney to see if this latest case sheds new light on your DUI revocation. For a free consultation with an Oklahoma DUI attorney, call the Wirth Law Office‘s Tulsa DUI attorney at (918)879-1681 or toll free at (888) Wirth-Law. You may also send us your written questions using the form at the top left of this page.